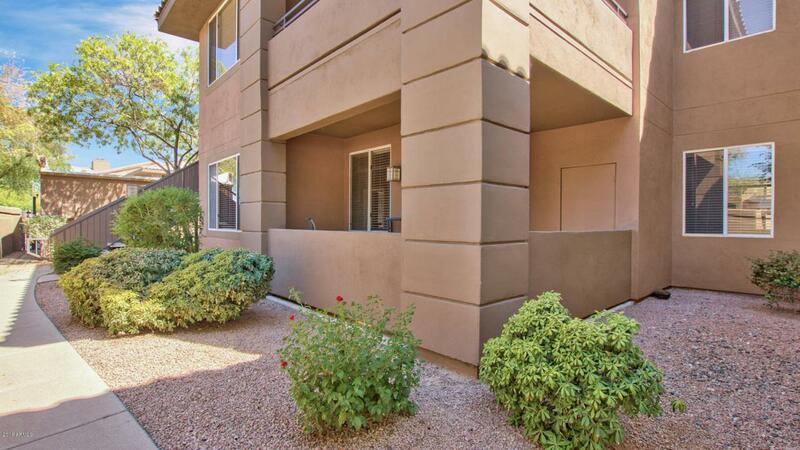 Freshly painted, first floor, two bedroom, 2 bath open floor plan condo is conveniently located close to Kierland Commons & Scottsdale Quarter! 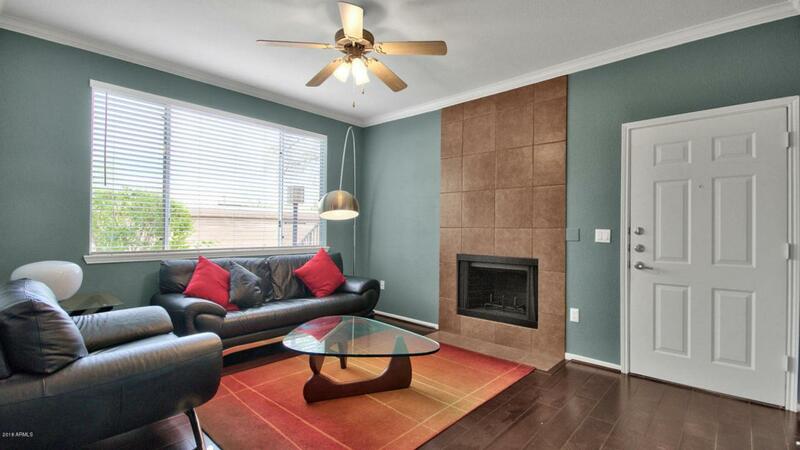 Spacious family room with porcelain detailed fireplace and separate dining space creates the perfect entertaining space. 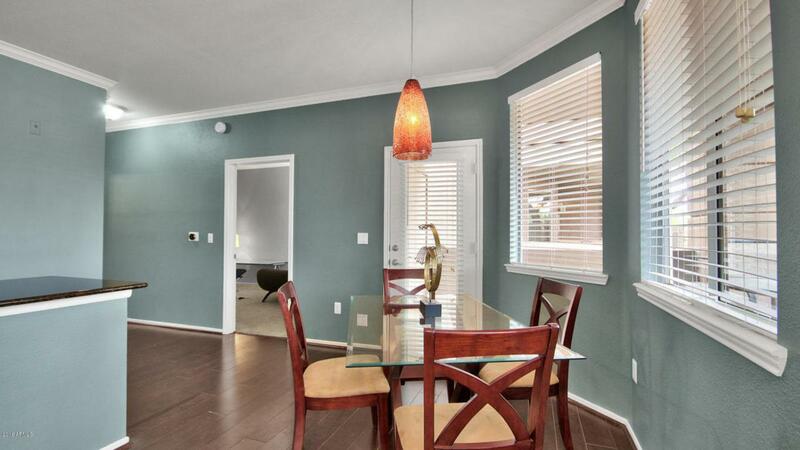 Kitchen features large breakfast bar, Granite countertops, upgraded cabinets and stainless steel appliances. 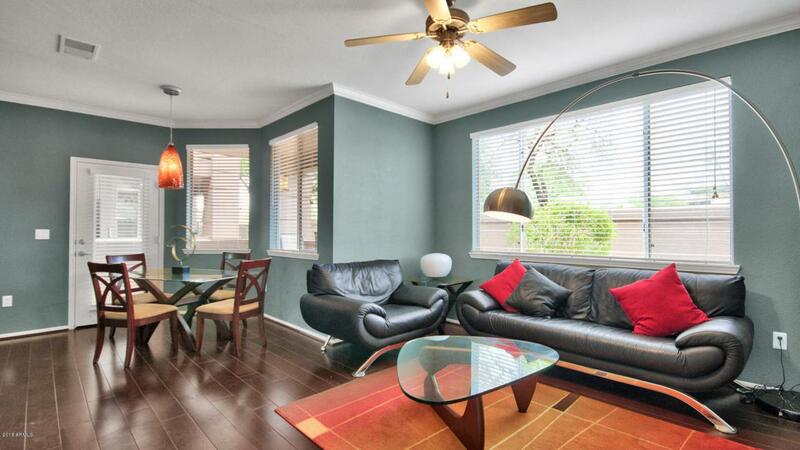 Enclosed patio has plenty of room for a table and chairs to enjoy your morning coffee. Beautifully maintained community features a gated entrance, clubhouse, 2 pools, a spa, theatre room, fitness center beautiful grounds & more. Furniture is for sale by separate bill of sale.